Around 6,000 pairs of this charismatic seabird nest on the Northumberland coast. Arctic Terns have been ringed on the Farne Islands for many years, and Chris has been studying their breeding biology on Northumberland’s islands since 1995. With the increasing miniaturisation of electronic dataloggers, it is now possible to fit lightweight devices to birds allowing us to study aspects of their behaviour in the non-breeding season. 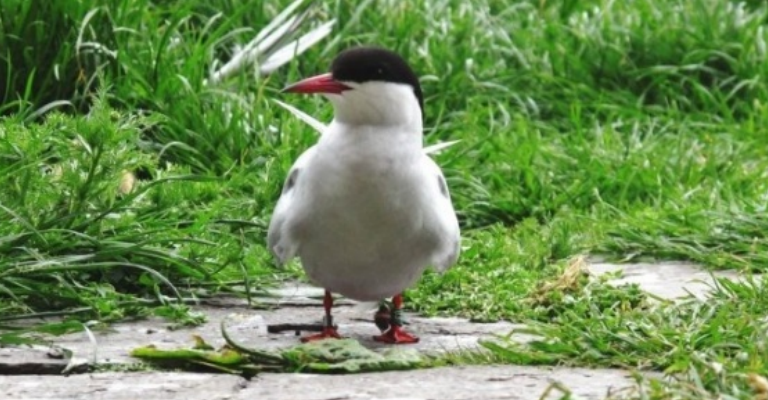 In this talk, he will describe some of the findings from fitting geolocators to Farnes Arctic Terns and what this is telling us about their migration routes and behaviour in their Antarctic summer. Dr Chris Redfern is based at Newcastle University and leads the Society’s bird ringing and seabird research.